';The problem of the Twentieth Century is the problem of the color-line.' This quote is among the most prophetic in American history. It was written by W. E. B. DuBois for the Exhibition of American Negroes displayed at the 1900 Paris Exposition. They are words whose force echoed throughout the Twentieth Century.W.E.B. DuBois put together a groundbreaking exhibit about African Americans for the 19… 00 World's Fair in Paris. For the first time, this book takes readers through the exhibit. 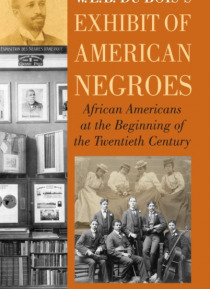 With more than 200 black & white images throughout, this book explores the diverse lives of African Americans at the turn of the century, from challenges to accomplishments. DuBois confronted stereotypes in many ways in the exhibit, and he provided irrefutable evidence of how African Americans had been systematically discriminated against. Though it was only on display for a few brief months, the award-winning Exhibit of American Negroes represents the great lost archive of African American culture from the beginning of the twentieth century. Conteúdo alternativo sugerido: Eugene F. Provenzo Jr.